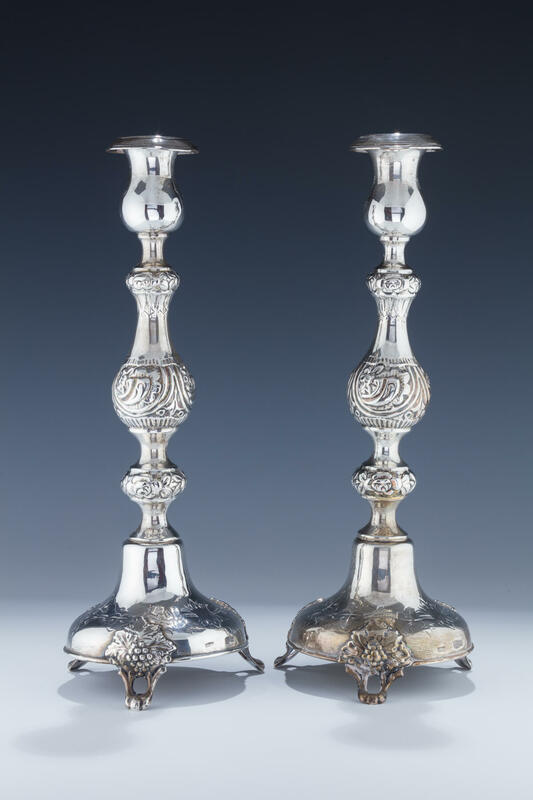 A PAIR OF SILVER SABBATH CANDLESTICKS BY SHMUEL SKARLAT. Warsaw, 1889. Each on three grapevine feet. The main body chased in baluster shape. Upper portions with original bobeches. Marked. 14” tall.